Derek and the Dominos~Layla / I Am Yours~1971 Blues Rock~Eric Clapton~FAST SHIP! Derek and the Dominos ~ Layla / I Am Yours ~ 7" 45rpm Single. DEREK AND THE DOMINOS. LAYLA (7:10 version) / I AM YOURS. RARE ORIGINAL PRESSING WITH THE LONG VERSION OF 'LAYLA'. 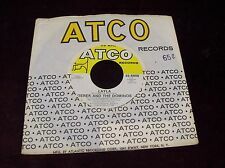 1971 ATCO RECORDS 45-6809. BUY MORE AND SAVE. DEREK AND THE DOMINOS : (w/Eric Clapton) Bell Bottom Blues 3:10 Mono- Stereo (U.S. 7" Vinyl 1971 Atco Records 45-6803 DJ Label Very Good w/Writing On A- Label). There are a few scratches. DEREK AND THE DOMINOS. I AM YOURS. LARGE PRINT. IF YOU HAVE A MODEL NUMBER OR THE OLD NEEDLE WE CAN CHECK TO SEE IF WE HAVE A NEEDLE FOR YOU. DEREK AND THE DOMINOS. (Featuring Eric Clapton). "Bell Bottom Blues ". ♪ This record has a large centre hole. Plastic record centre adapter/spider will be supplied FREE if required. Artist: Derek And The Dominos. Condition: VG ( ). This is a white label Mono/Stereo promo 45 from my personal collection of Derek and the Dominos "Why Does Love Got To Be So Sad" on RSO Records SO-400. Derek And The Dominos - Got To Get Better In A Little While/Layla. B. Layla 7.05. A. Got To Get Better In A Little While 6.05. Polydor Records 2011 Cat: 0600753332306. DEREK AND THE DOMINOS : (w/Eric Clapton) Why Does Love Got To Be So Sad (Written By Eric Clapton & Bobby Whitlock) 3:22- Presence Of The Lord (Written By Eric Clapton) 6:08 (Germany 7" Vinyl 1973 RSO 2090 104 Stereo, A- Side Very Good Plus, B- Side Very Good, Recorded Live At Fillmore East, w/Picture Sleeve Very Good Plus). DEREK AND THE DOMINOS - "LAYLA / I AM YOURS". 7" 45 RPM, ATCO RECORDS, 1982, UK. I visually grade records using the GOLDMINE STANDARDS. Anything can be worked out. COVER : VG (WITH LIGHT SHELF/EDGE/RING WEAR & CREASING - SEE PICS). DEREK AND THE DOMINOS : (w/Eric Clapton) Layla 3:07- I Looked Away 3:05 (Japan 7" Vinyl 1971 Polydor DP 1782 Stereo Very Good, w/Picture Sleeve Very Good Plus w/Tape On Left Edge w/Writing On Back). Rock musicin all styles, genres and formats in. non-"hitmaking" artists. 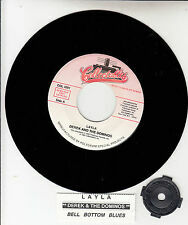 MISLABELED "I AM YOURS" LABEL ON BOTH SIDES (ONE SIDE PLAYS "LAYLA"). ARTIST: DEREK AND THE DOMINOS. TITLE: "LAYLA". "I AM YOURS". WHITE LABEL, BUT DOES NOT SAY PROMO. OVER THE NEXT TWO WEEKS! either side of the record. This is a white label Mono/Stereo promo 45 from my personal collection of Derek and the Dominos "Layla" on Atco Records 45-6809. Both sides have nice tone and sound. The record has a nice glossy shine and nice labels. Bobby Bloom/Derek and the Dominos. 1,2 ATCO 6804. 3 ATCO 6809 WLPROMO WOL. Visually, the playing surface of the record is unblemished, as anyone wishing to finally play this rare record would soon discover. Cat No. : RSO 87. Vinyl’s that are very expensive and rare will be played on both sides in full. OKAY – Vinyl has been played so heavily that there are lots of scratches, marks & scuffs, which will effect play. Catalogue No : OG 9422 - UK pressing. A Side : Layla. Artist : Derek & The Dominoes. Label : Old Gold. Record Condition : Excellent. B Side : Eric Clapton - Only you know & I know. All cds & vinyl are are mint and unplayed unless otherwise stated. Derek And The Dominos. Got To Get A Life / Layla. Still Sealed. This NOT A CD it is Vinyl! Look for the red door ikon a bit nearer to the top of the page. Eric Clapton - Layla / Only You Know And I Know. The cover and contents suffer from folding, scuffing of edges, spine splits, discoloration, etc. Format: Vinyl, 7", 45 RPM. Very light ring/shelf wear on sleeve. 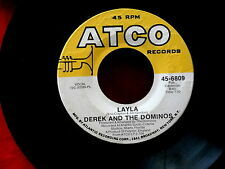 DEREK AND THE DOMINOS- LAYLA 7”45 - US ATCO 45-6809 PLAYS EX. DEREK AND THE DOMINOS- LAYLA 7”45 - US ATCO 45-6809 PLAYS EX. FROM 1972 RELEASED ON THE US ATCO LABEL THIS 7”45 SINGLE IS IN EXCELLENT CONDITION AND BOTH SIDES PLAY SUPERBLY WELL WITH STRONG AUDIO. 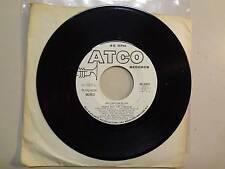 LAYLA/I AM YOURS-DEREK AND THE DOMINOS ( US ATCO 45-6809) NO CENTRE. GRADINGS BASED ON THE RECORD COLLECTOR’S GUIDELINES. THANKS FOR VIEWING. DEREK AND THE DOMINOS Layla - UK 7" vinyl single, also including Bell Bottom Blues, 2058130. in excellent condition. DEREK AND THE DOMINOS Layla - 1970 UK 7" vinyl single, also including Bell Bottom Blues, 2058130. Record Condition : Excellent. DEREK AND THE DOMINOS . SIDE 1: LAYLA SIDE 2 : BELL BOTTOM BLUES. VINYL CONDITION: TESTED IN GOOD PLAYABLE CONDITION. 7" Vinyl Single with Original UK Polydor Records Sleeve. Artist: DEREK AND THE DOMINOS. Title: LAYLA. Label: POLYDOR. Year: 1972. 7" vinyl single in card picture sleeve. Vinyl is in NM condition. Derek And The Dominos. Got To Get A Life / Layla. Still Sealed. The record is also placed in a protective polythene sleeve. Records advertised as Sealed or Unplayed should be Mint. REST OF THE WORLD £3.50. Artist: DEREK AND THE DOMINOS. Label: RSO. Title: LAYLA. Year: 1982. Welcome to TheVinylKid rare and collectable Vinyl record ebay store. Derek And The Dominos* ‎–Layla Label: Polydor ‎– 2058 130 Format: Vinyl, 7", 45 RPM, Single Country: UK Released: 28 Jul 1972 Genre: Rock Style: Blues Rock, Classic Rock Collection Tracklist ALayla Written-By – Gordon* BBell Bottom Blues LP, 12", and 7" records from the 1950's to present day. Everything from Beatles and Bowie, to Elvis and Queen. All genres from rock and Indie, Metal and Rap. Check out the store to see regular prom8otions. All items sent in protective packaging. Artist: Derek And The Dominos / Eric Clapton. Catalogue Number: RSO87. the sound, which is why we play testall of our records. So you know the sound quality of the record you're getting, not just what it looks like. Derek And The Dominos Layla. Polydor Records 2058-130. ‎ Sleeve = plain paper sleeve Vinyl =age wear (see Photos). The cover and contents suffer from folding, scuffing of edges, spine splits, discolouration etc. · Fair: The record is still just playable but has not been cared for properly and displays considerable surface noise: it may even jump.